Canada is an internationally respected beacon of diversity and equality. Our nation’s greatest strength lies in its embrace of ethnic diversity, which encourages dialogue, cooperation and mutual respect. The colourful mixture of backgrounds and experiences that are woven into our national fabric have fueled our ongoing efforts to build and maintain one of the most just and tolerant nations in the world. The diverse beauty of our country is celebrated internationally and our voice is respected around the world because of it. Throughout the past decades, Canada has actively worked to ensure that the diversity of its people is reflected in national institutions and all levels of government. Members of many Canadian ethnic communities have been elected or appointed to represent both their Canadian and minority communities - which has been instrumental in securing the uniquely peaceful society we live in. The ethnic minority communities that together make up the majority of Canadians are encouraged to celebrate their heritage and maintain their ethnic culture by our government. Community celebrations and commemorations are often attended by political leaders and marked by supportive statements. 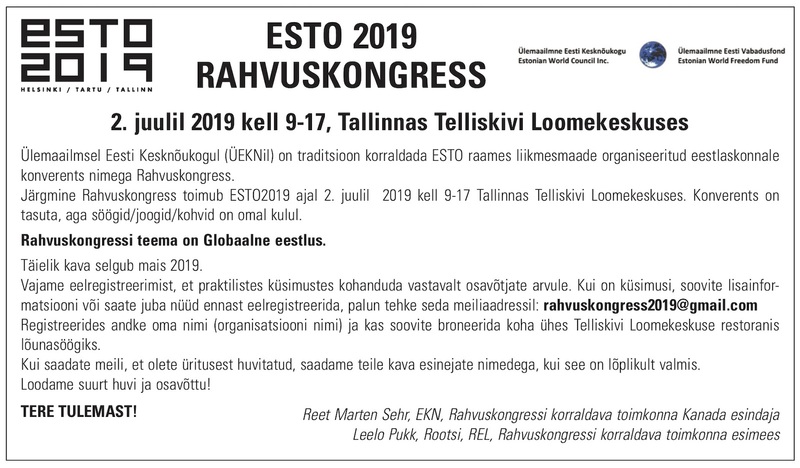 The Baltic community, which includes Canadians of Estonian, Latvian and Lithuanian heritage, is collectively celebrating the 100th anniversary of their countries’ independence. While Balts started migrating to Canada over 100 years ago, the largest wave arrived as refugees in the post WWII era. In the fall of 1944, hundreds of thousands of refugees fled the occupation, terror, ethnic cleansing and unspeakable violations of human rights committed by the Soviet and Nazi occupying regimes in Estonia, Latvia and Lithuania. They fled on foot, wagons and any other means to escape to the safety of the allied occupied zones of Europe. They boarded small boats and even small rafts to escape across the stormy Baltic Sea to Sweden. Many died along the way. Both Nazi and Soviet ships and submarines targeted refugee boats, while rough seas claimed many other lives. On the roads, families dodged bombs and artillery while struggling to stay ahead of the approaching Red Army, which committed mass atrocities, as it swept westward. Those who were lucky to escape both Nazi and Soviet terror arrived in refugee camps in Allied occupied Germany and Sweden. For thousands of refugees, their proximity to the Soviet Union remained too close, and so they continued to Canada, where they settled in Montreal, Toronto and other cities. They arrived in Canada, with little more than a suitcase and few other belongings. Starting with nothing, forced to reestablish themselves in new lives - regardless of their previous professional designations or status - the Baltic refugees embraced the opportunity Canada offered them, and got to work rebuilding their lives, their communities and their new country. An ethnic minority, designated as “Displaced Persons,” the Baltic communities faced discrimination. Speaking accented English, with strange, European sounding names, many felt compelled to change their names to avoid bullying and bias. Despite the mountain of challenges that these communities faced, they came together, and built new churches, community centers and heritage schools. They quickly established their new lives and made major contributions to helping build the Canada we know today. Canadians of Baltic heritage have made major contributions in business, sport and culture. Leonard Cohen is among the greatest writers and singer-songwriters Canada has ever produced. While Ed Mirvish’s contributions to Canadian theater, culture and business are unmatched. Both have Lithuanian roots. Born to his Lithuanian mother and Latvian father, Leo Rautins, was the first Canadian basketball player to be drafted into the NBA and continues to make important contributions to the sport as a broadcaster. Vaira Vīķe-Freiberga, ascended from her Toronto-Latvian community roots and professorship at the Université de Montréal to become the president of Latvia and a candidate for UN Secretary General. Estonian Canadians have made major contributions to Canadian architecture, culture and business. Well-known international tech industry leader, Andy Prozes, is a Toronto Estonian, while legendary editor of Adbusters magazine and author of modern counter-culture classic, “Culture Jam” is Vancouver based Estonian Kalle Lasn. Wallpaper and Monocle Magazine founder, and Winnipeg native, Tyler Brule, is among the most influential Estonians in the world. Despite the Baltic community’s ongoing contributions to Canada, our history and experiences are not included in school curriculums. We are disproportionately underrepresented in national discussions, and our issues and events deserve much greater recognition from all levels of government. During the recent Ontario provincial elections, the Baltic communities in partnership with the Ukrainian Congress of Canada sent a questionnaire to all major provincial political parties. There was no response. 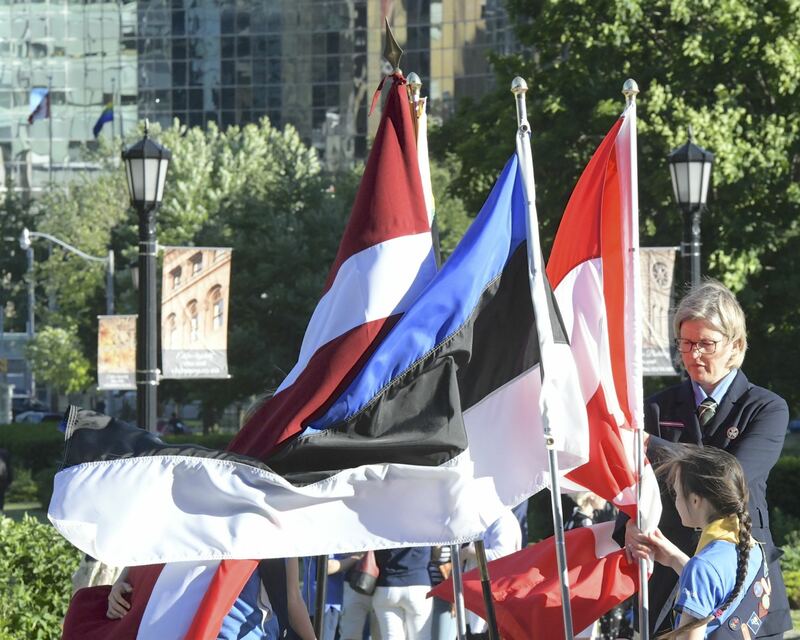 Federal political leaders cannot continue to ignore major events, like the annual commemoration of the June 1941 deportations nor the various national celebrations of Baltic independence and our heritage in Canada. The Baltic communities in Canada are proud of their heritage and their experience in Canada. They desire to share this with their fellow Canadians. We call on Canada’s federal, provincial and municipal governments to reengage with our communities by renewing their relationships with us. By respecting our views and voices, as equal partners in Canada’s diverse ethnic landscape, we can continue to build a stronger, tolerant and just nation. Andris Ķesteris is the president of the Baltic Federation in Canada, The Latvian Federation in Canada and the Central and Eastern European Council in Canada. 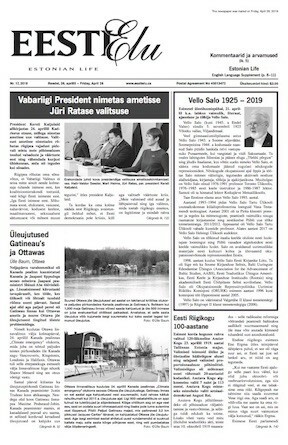 Marcus Kolga is the president of the Estonian Central Council in Canada. Joana Kuras is the president emeritus of the Lithuanian Community in Canada.